Hello loves! 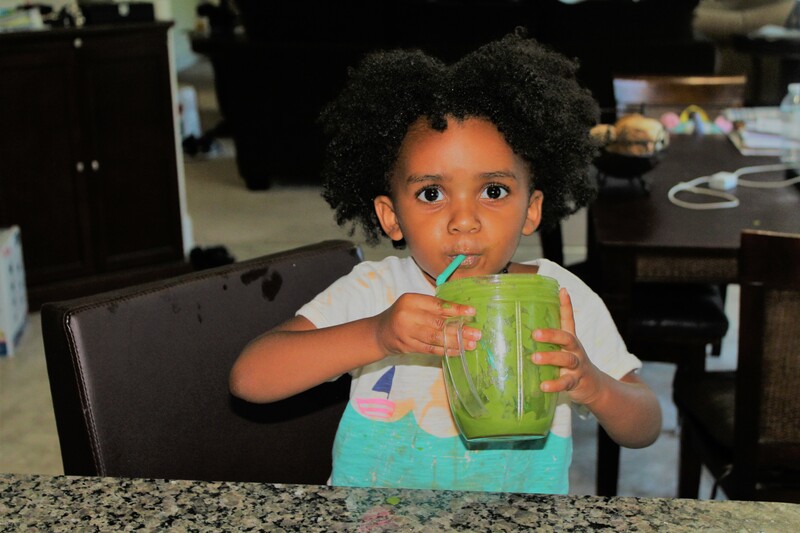 If you follow me on Snapchat (BeautyofaBennett) or Facebook, you know that I always talk about Lola and I drinking our green smoothies for breakfast! 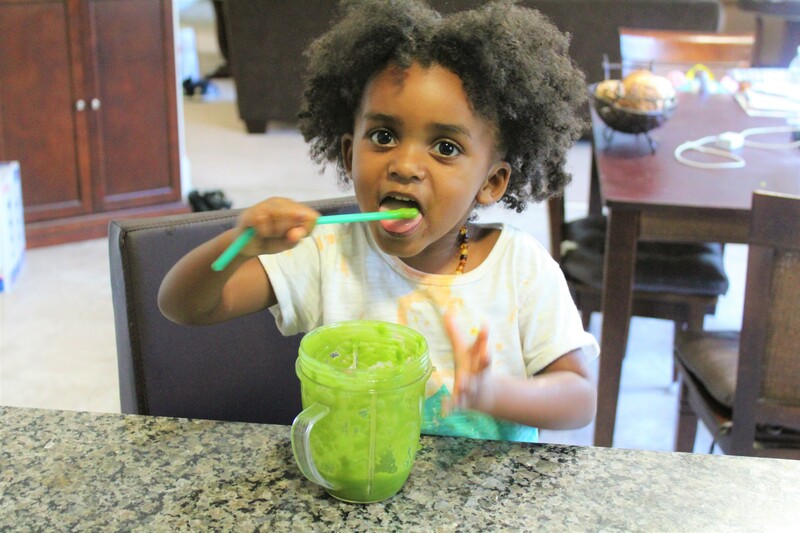 The best trick to get your toddler to eat their veggies is to blend them in a smoothie that tastes delicious. 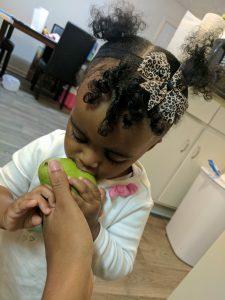 I know that kids don’t usually like vegetables or other healthy foods, but I am training Lola’s taste buds early so she will love to eat healthy when she grows up! Let me just say that I am not perfect, but I take the responsibility of being a mother and nourishing my child with proper foods seriously. It doesn’t make me a better mom than anyone else, but we make healthy living a priority in our family for many reasons. We have a strong history of athletics on my side of the family and on my husband’s side of the family! What if my kid may just be the next Gabby Douglas or first Lola Stegall 🙂 because her well-balanced diet makes her a superior athlete. It breaks my heart when I hear kids or adults suffering from ADHD or mental problems and a doctor is so quick to prescribe them medicine but never take the time to ask about a person’s diet. Did you know that a bad diet can contribute to depression, anxiety, and other mental health issues? Artificial dyes in food and excess sugar are not good for you, so do your research and eat healthier! 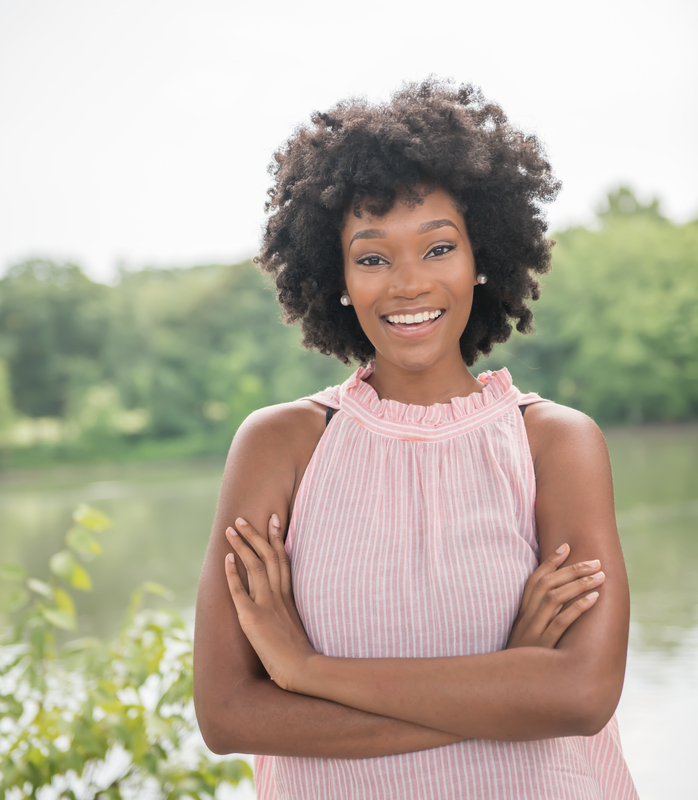 Many people use the argument, “well my mom did it and I came out just fine.” Yea you are alive, but you could feel so much better, have more energy and feel a lot healthier. Now let’s talk about how I serve my sweet Lola her daily fruits and vegetables! I love making our smoothies in the morning because it’s a great start to our day! It’s definitely a bonding time because while I’m preparing it, Lola is in the kitchen with me. I let her bite off of some of the yummy fruits as I prepare them. A mouthful, “yummy!” Pears are super juicy, soft and sweet. Great snack for toddlers. Raw Kale (2 handfuls): Excellent source of vitamin C & K and helps fight off cancer cells! Yass, The most high God blessed us with disease-fighting food! How great is he? Bananas: Great source of Potassium! **Raw means fruit is not frozen or coming from a can. It is freshly bought from the store and rinsed off. I use different types of fruit depending on what I have in the house, but I regularly use Kale, water, bananas, frozen fruit and any type of fruit to add sweetness. They have bags of no sugar added fruit in Walmart in the frozen fruit section. Use that and add some raw fruits and veggies! 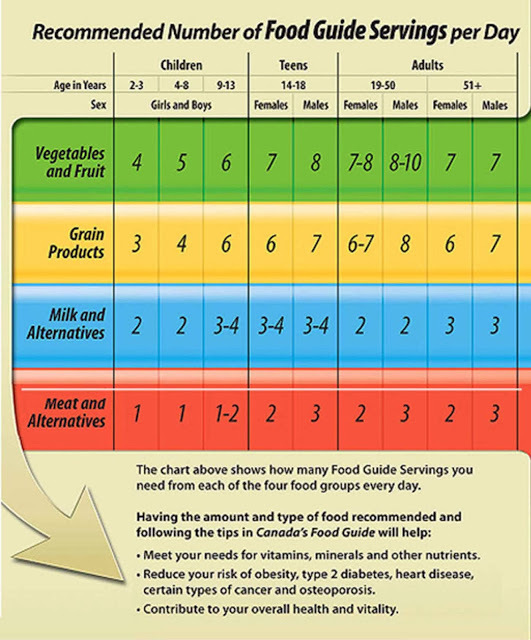 Be sure you have more vegetables than fruit. The fruit is just to add the sweetness since kids love sweets! Use water, not juice because you are defeating the purpose of a healthy smoothie. Most juice has extra sugar in it and not 100% juice. If you want to use juice just to get your kid to drink it, dilute it with water. Although we have upgraded our blender, this is a cheap blender that you can get from Walmart for about $20. It gets the job done! Since I use frozen fruit, I add a lot of water. If you would like it sweeter, add some agave. Love our smoothie bonding time! Use ORGANIC fruit if you can! Organic fruit has less pesticides and harsh chemicals. Look for the USDA sign, they ensure soil management, crop rotation and fertilization techniques free of chemically manufactured products. Do your research on organic fruit vs. non-organic and decide what works best for you. You can use hemp seeds, chia seeds, or powders. I like to add a powdered herb called sarsaparilla. It’s high in iron! You can get it from here. And this is how you trick a toddler or kid into thinking that they are having dessert but they are really getting a bunch of great fruits and veggies essential for their growth and development!! Don’t have time to make a smoothie for breakfast? Try dinner time and make it seem like dessert. Do what works for you, but this is a creative way I incorporate our daily servings of fruits and veggies! 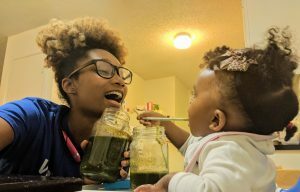 Mothers, what other ways do you give your little one healthy fruits and vegetables? **Disclaimer: The opinions expressed on my blog are based on my own thoughts, knowledge, and experiences. Please keep in mind that I am not a Doctor or other health professional so please consult the appropriate professional before making any changes to your diet, health, or other applicable areas.